Part of my daily grind includes reviewing medicationmanagement systems in peoples’ homes. Considering the multiple prescription meds and the gradual accumulation of an excess of over-the-counter medications, it is no wonder that taking medications correctly can be such a challenge for the elderly. Add to that a touch of cognitive impairment, and the risk of mismanagement rises exponentially. 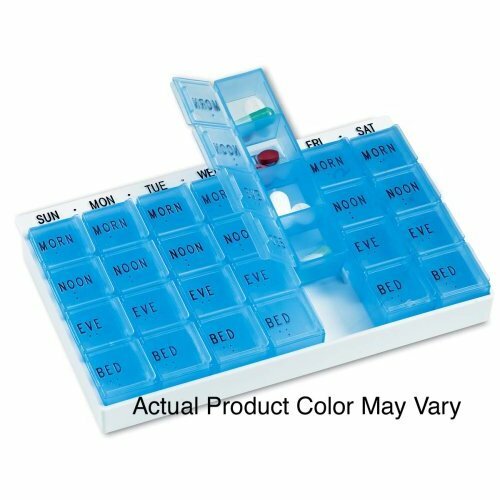 The basic weekly pill box, individual compartments labeled Sunday through Saturday, can be quite helpful if there are only a few medications and only one dose per day is indicated. 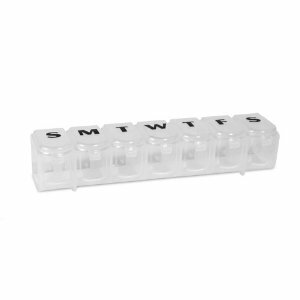 Some pill boxes have separate boxes for each day, labeled for several doses per day as a.m., midday, and p.m. and bedtime. Both of these options work well for a person with mild dementia if the meds are placed in the correct boxes by a caregiver. Daily supervision (making sure that the correct boxes are empty) is a good idea if there are concerns about confusion. In the event that a daily or weekly pill box cannot be used correctly, there are automatic pill dispensers that have proved quite useful for families who cannot be present for every dose. 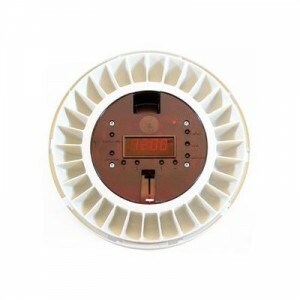 Devices like this one sound an alarm when it is time to take the medications, and the pills for that dose are the only pills accessible to the person. There are many different kinds of automatic dispensers available, and some more expensive models even offer monitoring services that will call the caregiver if the dose is missed. 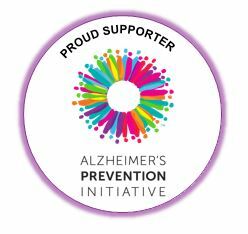 My advice to all caregivers struggling to walk the line between allowing the person with dementia the independence to manage their own lives (medications included) and trying to take over the responsibility from them is to try to implement strategies while the person still has the ability to learn how to do it. I believe in choosing your battles, but the hot button issues (the ones that could result in injury) need to be the priority changes. 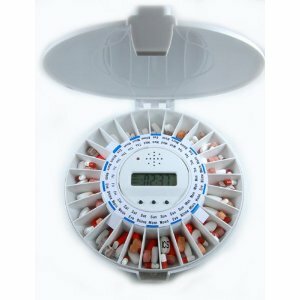 I find that people are generally open to medication organizers, considering that the doses and number of pills can be overwhelming for anyone. 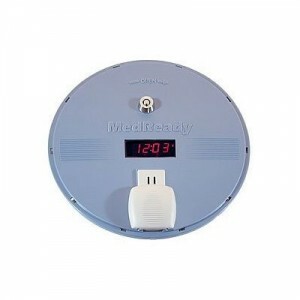 Always remove excess and expired medications from the home. Limit or restrict access to common drugs like aspirin and Advil as these items may be contraindicated for some people. Talk to the doctor about the number of medications and see if any can be reduced in frequency or eliminated all together. 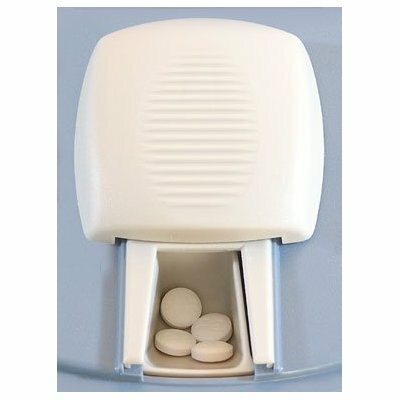 Visit The Dementia Queen’s Amazon Store to see a variety of pill boxes and medication dispensers. DQ, I imagine this is a really tough part of being a dementia caregiver. One day the medication strategy is working and the next day it isn’t. 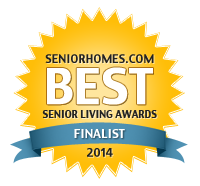 So the caregiver has to really pay attention and adapt the strategy. But there is such a huge risk with getting it wrong. I’m picturing the daughter who doesn’t live with her parent, boy what a huge challenge for her. That’s right Mike! A minor error can have major repercussions. So often in my patients’ homes I find a cluster of pill bottles on the kitchen table, a few more on the counter, several in the medicine cabinet, and a bottle or two on the nightstand. The contents range from vitamins to OTC meds to heavy duty narcotics or cardiac meds. 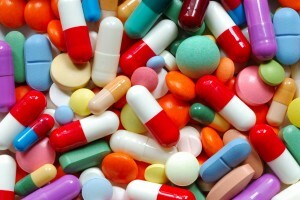 It is so much easier when all the medicines are organized into doses, and the excess is removed from the mix.